The company has posted a pre-tax profit of €43.4 million, versus losses of €13 million for the same period last year. Total sales reached €801.7 million during the period, of which €247.3 million was registered during the third quarter (+2.1% LFL). Online sales grew by 26.7% to represent 7.8% of total sales in the Iberian region. The gross margin improved by 0.3 percentage points during the first nine months (+0.8 percentage points in the third quarter). EBITDA reached €104.1 million during the first nine months of the 2018/2019 financial year (+2.6% vs. 2017). The Tendam brands’ loyalty programmes now have 23.4 million members (+8.6%). Tendam had 2,042 points of sale as of 30 November (+71 versus November 2017). 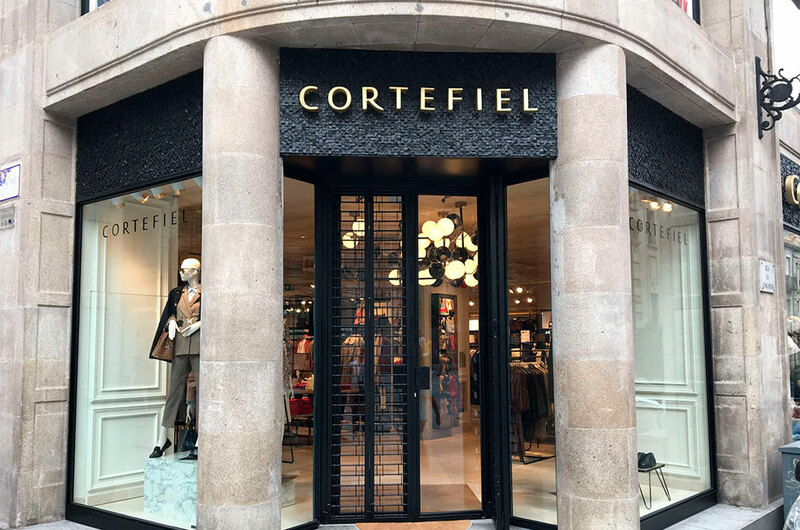 Tendam, one of Europe’s leading fashion retailers operating in the specialised chain segment through the Cortefiel, Pedro del Hierro, Springfield, women’secret and Fifty brands, has today announced its results for the first nine months (from 1 March to 30 November 2018) of its 2018/19 financial year. During this nine-month period, the company posted pre-tax profit of €43.4 million, versus losses of €13 million between March and November 2017. “We continue to work on creating value for our clients, brands, employees and shareholders based on three key principles: investing to strengthen our brands, evolving our relationship with clients, and ongoing operational and management improvements”, added Miquel. During the third quarter of the 2018/19 financial year, sales reached €247.3 million (+2.1% LFL). Total sales for the first nine months of Tendam’s financial year amounted to €801.7 million, a slight fall of 1.1% on the figure posted for the same period last year. The company’s performance during the first nine months of its financial year can be split into two distinct periods: the first six months were affected by the streamlining of the physical store portfolio in spring/summer 2017, weather conditions and adverse FX effects, whereas the third quarter saw growth in sales, a significant strengthening of gross margins and a 41.8% improvement in EBITDA. Tendam’s online sales continued the upward trend registered in previous periods, rising by 26.7% across all brands between March and November 2018, with all brands individually posting significant increases in Internet sales. At 30 November 2018, the online channel, which is profitable for the Tendam brands, accounted for 7.8% of total sales in the Iberian region and boast one of the lowest product return rates in the market. Progress continues to be made on the omni-channel strategy. For example, all Tendam brands successfully launched new mobile applications in October, which, to date, have registered 240,000 downloads, 120,000 unique users and 2.4 million sessions in 2018. Traffic through mobile devices grew by 50%. During the first nine months of the 2018/19 financial year, the Tendam brands’ loyalty programmes reached 23.4 million members, a rise of 8.6% versus November 2017, posting considerable growth across all brands. Sales associated to the loyalty programmes represented 75% of total Tendam sales (+3 percentage points). “The more than 23 million members of our loyalty programmes are essential to our business model. These members, together with the Tendam brands, are the company’s principal assets. We are working to ramp up the transformation of our CRM, rolling it out to international markets and making progress on the customisation and evolution of our multi-channel and multi-club strategies”, said Jaume Miquel. EBITDA reached €104.1 million, a rise of 2.6% versus the same period during the 2017/18 financial year. Thanks to Tendam’s ongoing strategy to exercise stringent cost control and business efficiency, gross margins improved by 0.8% in the third quarter and 0.3% over the entire nine-month period to reach 63.5%. Active stock management has led to a positive reduction of inventory of €1 million versus November 2017, despite the opening of 71 new stores. The company continues to make headway on its efficient stock control policy, which allows it to implement its commercial strategy with an appropriate control over margins. The company’s financial situation also continues to improve. At the end of the first nine months of the 2018/19 financial year, free cash flow after interest was up by €50.1 million versus the same period last year. A significant reduction in financial costs was also achieved (down by €40.3 million), thanks to the company’s new debt structure. Tendam’s net debt stands at €500.2 million, which brings the company’s debt ratio to 3.1x EBITDA, with October marking the lowest point in terms of treasury reserves during the autumn-winter season. During the nine-month period, Tendam bought back debt valued at €30 million and has carried out similar transactions since the end of November to reach €60 million. In parallel to the omni-channel strategy, Tendam continues to forge ahead with its international physical store expansion plan, based on market, size, brand, profitability and efficiency criteria. As of 30 November 2018, Tendam’s store network comprised 2,042 total points of sale (an increase of 71 on November 2017), of which 1,231 are directly-operated stores, 690 franchise operations and 121 department store corners. The company is present in 91 countries.